It's sale time! 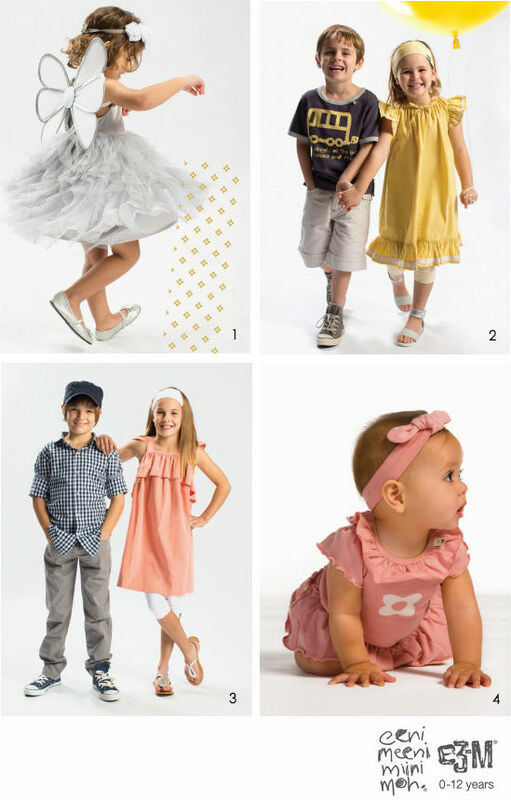 Start your Boxing Day sales online with huge savings on children's clothes up to 12 years from Bondville sponsors eeni meeni miini moh and e3-M. PLUS! Account holders get an extra 10% off for three days and you can too if you subscribe between 26th - 28th December 2013. The Spring Summer 2013 end of season sale starts now! 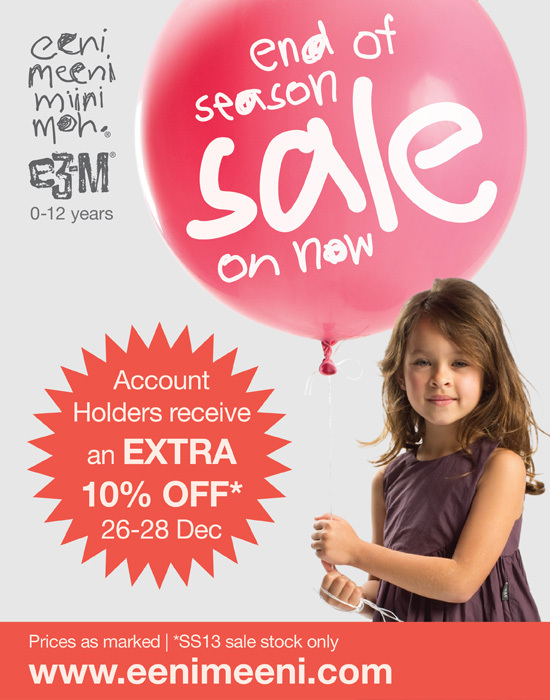 Head over to the eeni meeni miini moh and e3-M online store for huge savings. Prices as marked. Account Holders receive an extra 10% off sale prices for 3 days only (26-28 Dec 2013). Not an account holder - sign up here. And watch this space for the NEW Autumn Winter 2014 collection arriving February!